The internal war we have warned is unfolding with Intelligence and Law Enforcement standing against Obama and the corrupt DOJ under Lynch is really heating up. The FBI realizes that Lynch’s DOJ will protect Hillary at all costs and will never allow her to be criminally charged. 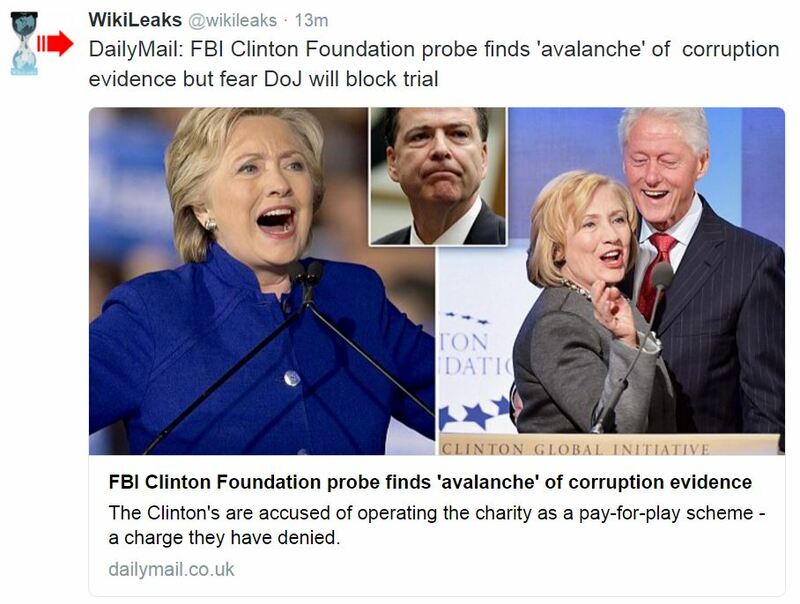 They have no choice now but to leak everything they can to show the corruption going on in the Department of Justice (see Daily Mail). There are 650,000+ emails on Weiner’s laptop. Meanwhile, Huma Abedin is preparing for her own criminal charges of obstruction of justice. She did not turn over that laptop when ordered to do so. She is now crying “she doesn’t know how her emails wound up on her husband’s computer” according to the Washington Post. She is saying that and it is not plausible. She had to be using that computer. Oh she may try to claim that her husband hacked her emails to escape the criminal charges. But that will get really messy. It would also mean there was a MAJOR breach of security. Now the FBI is letting the press know that Clinton’s server was hacked by at least five foreign intelligence agencies. There are now also two additional investigations into Hillary on that score. State Department has revealed there were 10 attempts to hack Hillary in just 2 days. Let’s face it, if Hillary is elected, she will most likely be IMPEACHED as was her husband, but this time she would be removed. This is not a Monica deal. This election is going down in history as the tipping point for the United States. It has revealed how corrupt Congress really is. We have even former Bush Sr saying he will vote for Hillary. He just lost all my respect for he has chosen the status quo to save the politicians rather than his country. This is just over the top. Even Podesta began a lobbying firm with his brother, which now collects $120,000 PER MONTH in a fee from Saudi Arabia. 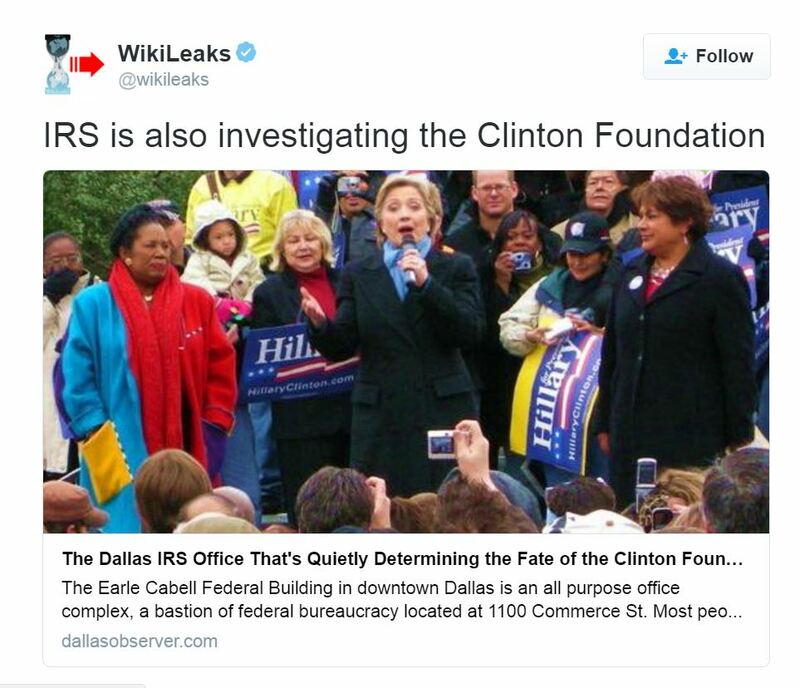 Hillary has tried to slander Assange saying all these hacks came from Russia. Assange has come out and bluntly said the hacked Clinton emails didn’t come from the Russian government. They may be coming from sources inside the USA. Do not forget, to my surprise, there is one source that has EVERYTHING. Hello – NSA! Anyone remember they are storing everyone’s emails, text messages, and phone calls? Nobody wants to order the NSA to turn it all over because it will reveal treason, where Hillary took money from foreign government and they approved arms deals. It would also confirm Snowden was right. If Hillary is elected, it will be by rigging the election. Our computer has NEVER been wrong on this score. So if she takes office, this will be the worst administration in history and may very will set in motion the phase transition where capital flees to bonds and we see a significant rise in civil unrest. The capital will shift from PUBLIC to PRIVATE. Watch the stock market after January.